Tech N9ne Reaches 2 Million Facebook Likes! If this isn’t “Dwamn” worthy, we don’t know what is! Another milestone has been reached by the Strange Music General as Tech N9ne’s Facebook page reached 2 million “likes” recently! 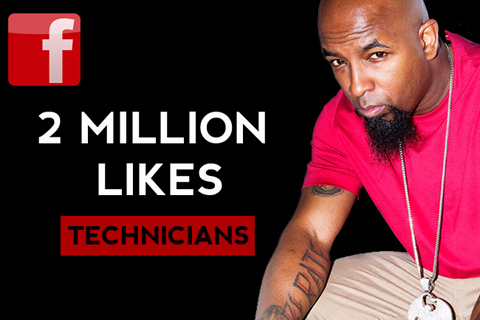 You may remember we reported back in July that Tech had hit 1.8 million “likes”, and only 3 months later Tech N9ne’s monstrous persona garnered the extra 200,000 to bring his page to a level that surpasses legendary artists such as Mos Def, LL Cool J, A Tribe Called Quest, and more! 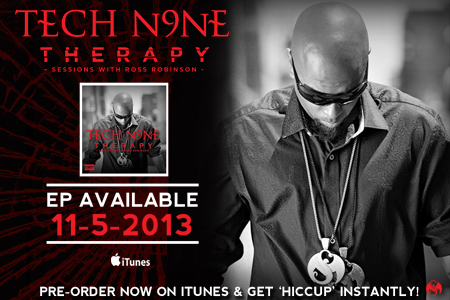 This is yet another sign to the uninitiated that Tech N9ne and the Snake & Bat crew are taking Hip Hop by storm! A huge thank you to all the fans that support the movement and help us spread the word! Let’s see how fast we can get to 3 million! How long have you been down with Tech N9ne?